- Good Quality of PVC Provide good protection Agasint Oil and Grease, Casutic, Acids and Solvents. - Double Dipped Coating Provide Good Grip. 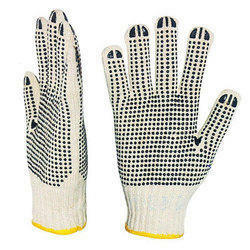 To meet the variegated necessities of our clientele, we are engaged in offering an enticing range of PVC Hand Gloves. PVC GolvesMade from PVC of superior quality.It is use while handling Acid / Alkali and concentrated chemicals. 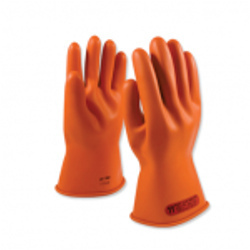 Supported PVC gloves in three different lengths, made on a new technology machine with Chemical resistance according to the EN 374.2003. A glove is a garment covering the whole hand. Gloves have separate sheaths or openings for each finger and the thumb; if there is an opening but no (or a short) covering sheath for each finger they are called fingerless gloves.